Stepping into D’Tandoor Subang Jaya is a little bit like walking out of a time travel machine. Soft dim chandeliers adorn the ceilings, with earth-toned walls boasting ethnic murals and Indian tapestries. In short, it looks like something out of a 1940’s Bollywood classic. Classic is a word that bodes D’Tandoor well, as its classic North Indian fare has been keeping hungry tummies happy for the past 20 years. Franchise owner Amir Santiago credits the success of D’Tandoor to the authenticity of its taste, staying true to timeless recipes and cooking using the charcoal tandoor. When the food was served, the whiff of spices and herbs was undeniably mouth-watering. There was an entire feast laid out in front of our eyes: from starters such as vegetable pakora to a main course fit for a maharajah, which included biryani, tandoori chicken, fish tikka, garlic naan, masala ladies fingers and palak paneer, a creamy cottage cheese-spinach dish which smelled like heaven. 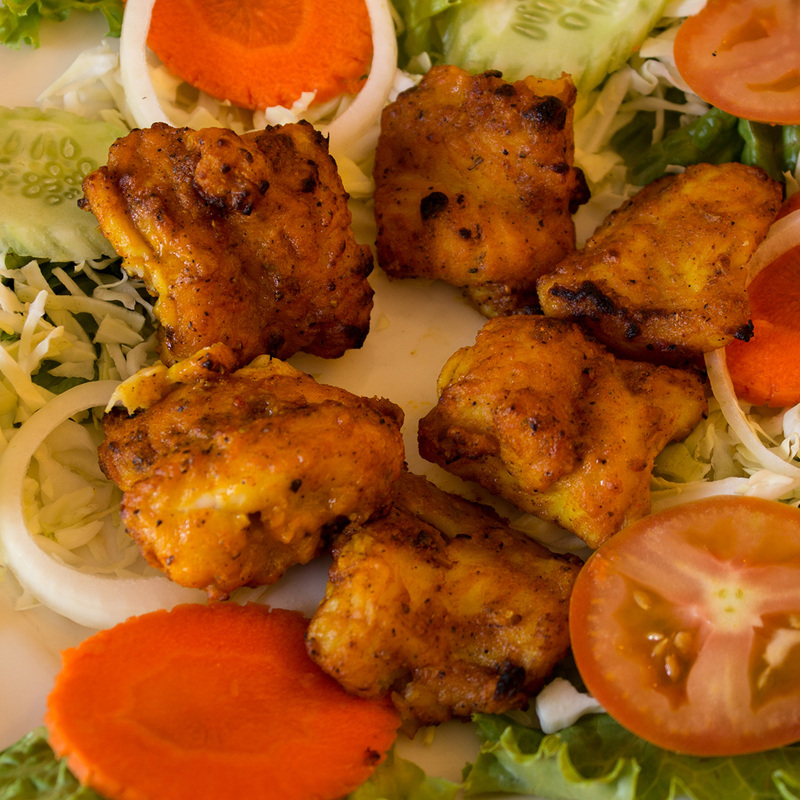 The vegetable pakora was a wonderful mix of greens and crunch, with diced fresh vegetables coated in batter and deep fried to a crisp bite-sized fritter. The burst of flavours in the fritters, accompanied with a spicy chili sauce, were a great start to our meal, and certainly whet our appetites and got us ready for more! Next up was the biryani. The fluffy long-grain basmati rice was wonderfully soaked in spices and herbs with a sprinkling of sultanas, and slow-cooked for it to fully absorb the flavour. 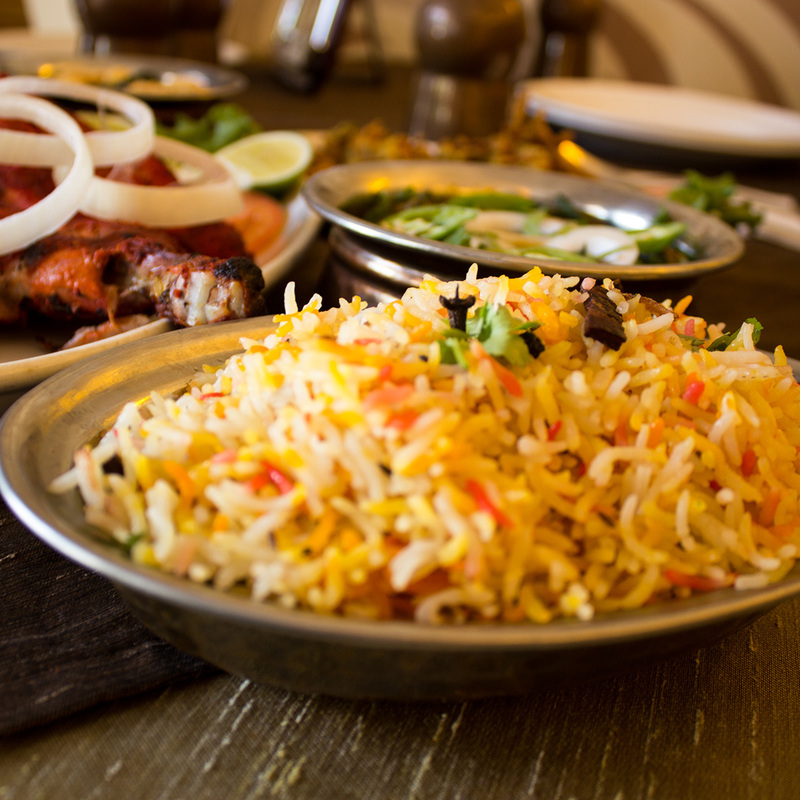 Amir told us that this biryani is one of his outlet’s specialty — we dare say he’s hit the bullseye! The rice paired wonderfully with the fish tikka, pieces of white-flesh boneless fish marinated in a yoghurt-and-chilli based paste, and baked in the charcoal tandoor. The tangy and perfectly cooked pieces melted in our mouths and in no time, the dish was cleaned off! 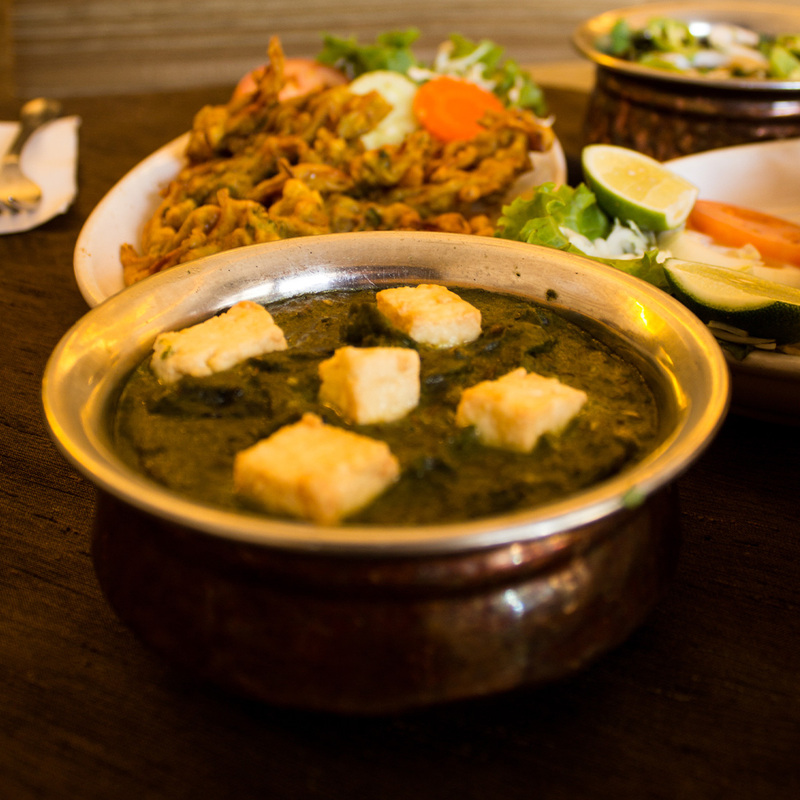 Another great pairing was the palak paneer, cottage cheese cubes cooked in spinach paste. It may sound weird or even unthinkable, but this writer thinks it’s one of the must-try Indian dishes and is tastier than it looks or sounds! Visiting D’Tandoor, our table offered garlic naan – a staple in North Indian cuisine. Naan is a kind of flatbread which is also usually cooked in a charcoal tandoor — see how D’Tandoor got its name? The garlic naan we got was fluffy, soft and warm, with a hint of garlic in every bite. We loved our naan with the tandoori chicken (a classic pairing, no less) which was marinated in yoghurt, tandoori masala and honey and roasted in – yes, you guessed it – the tandoor! 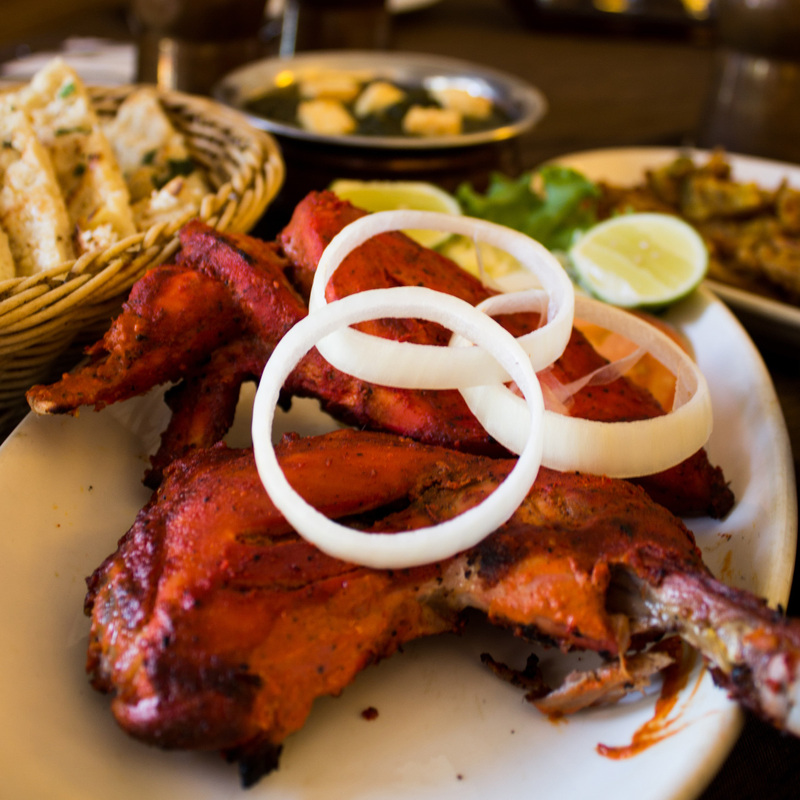 Winner, winner, chicken dinner – tandoori chicken, no less! The ladies finger masala (or better known as bindi masala in Hindi) was a hit too. Ladies finger chunks were cooked with garam masala, chili powder, turmeric and onions, creating a spicy textured dish that was perfectly paired with the naan, which is naturally dry in nature. Before the review, we asked Amir the secret to D’Tandoor’s longevity. He simply said, “Taste the food and you will know yourself.” We definitely know now – the years of understanding their patrons and keeping to traditions have definitely paid off!